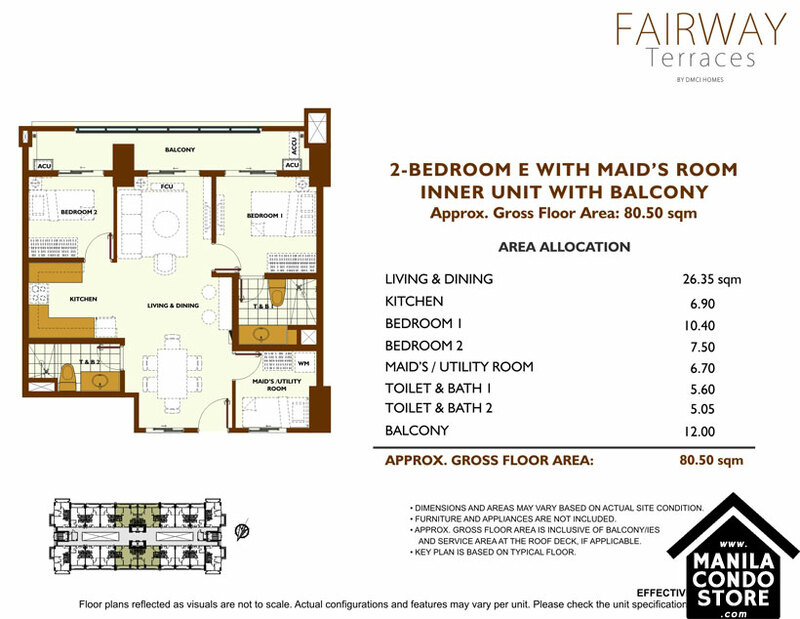 A soothing medley of contemporary residence set on a lush cascading greenery. 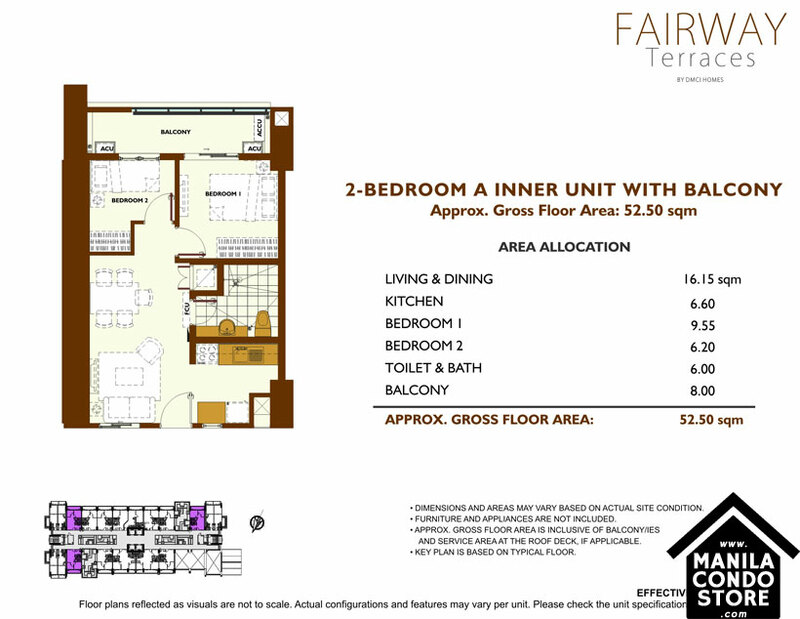 Fairway Terraces combines the convenience and sophistication of modern living to the rustic and relaxing resort-inspired life. 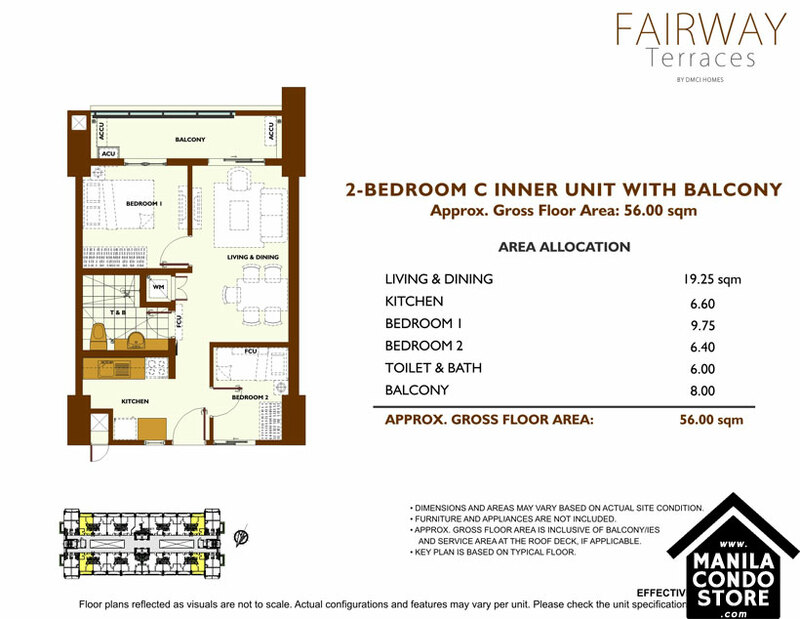 Sorry, all residential units are sold. 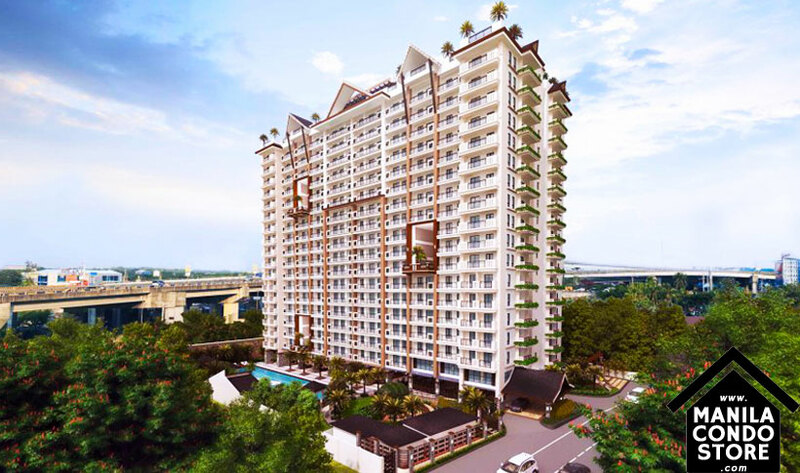 Easily access major CBD's such as Makati and BGC, leisurely arrive in time for your flights, drive to top schools and colleges, while still being able to enjoy solitude and relaxation. 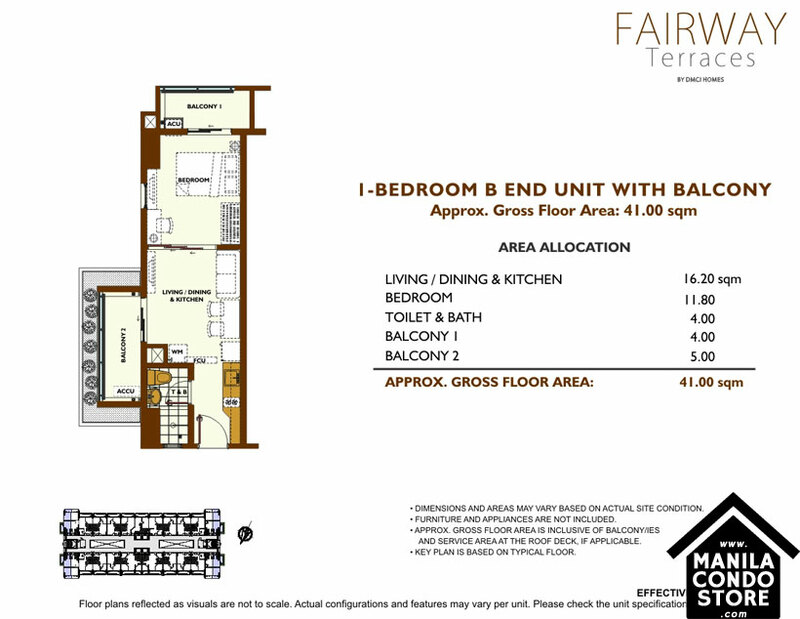 We have laid these foundations, strong enough to build bonds and memories, and sturdy enough to be cherished forever. 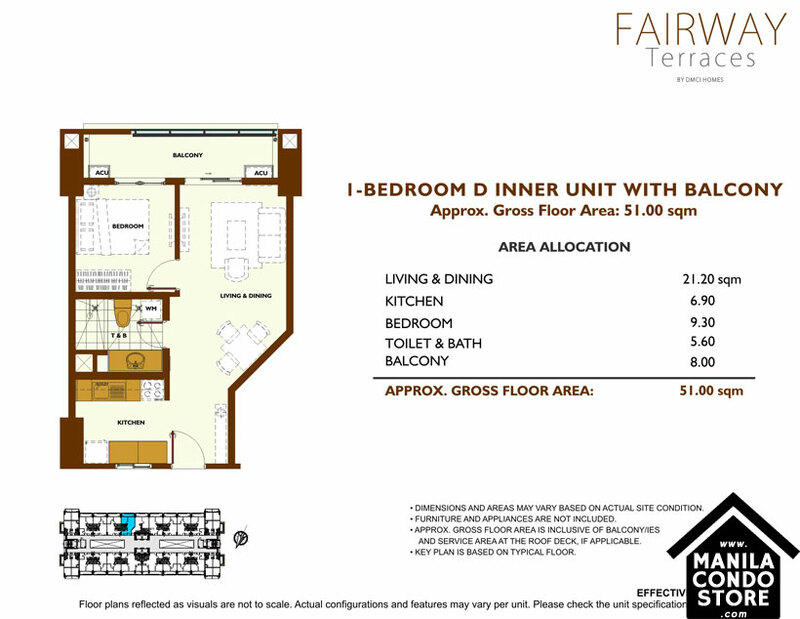 PROPERTY SIZE : 5,000 sq.m. 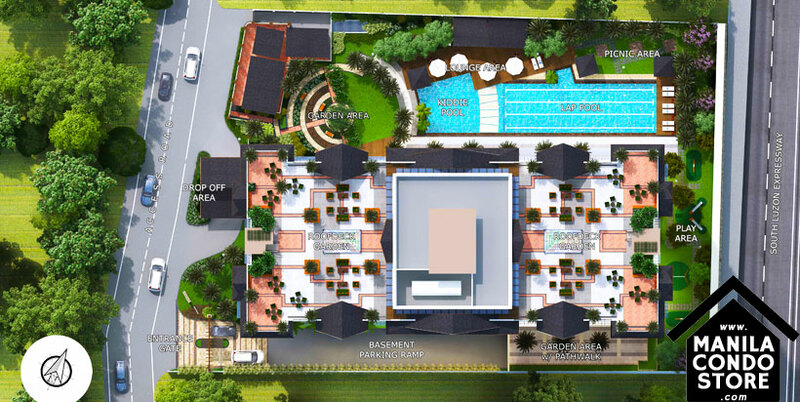 OWNER & DEVELOPER : DMCI Project Developers, Inc.
Live the city life in this resort-inspired community, complete and teeming with unique amenities, functional facilities and magnificent spaces for all work, play and recreation needs. 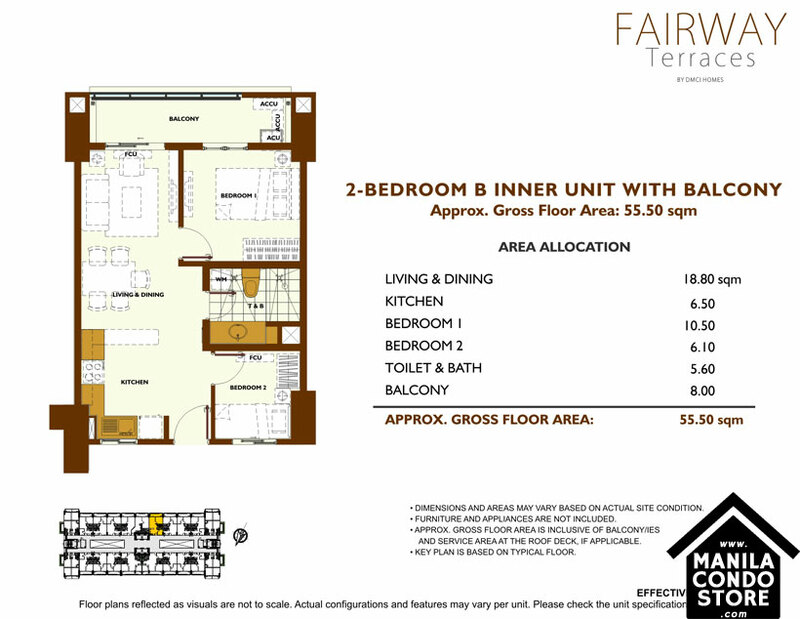 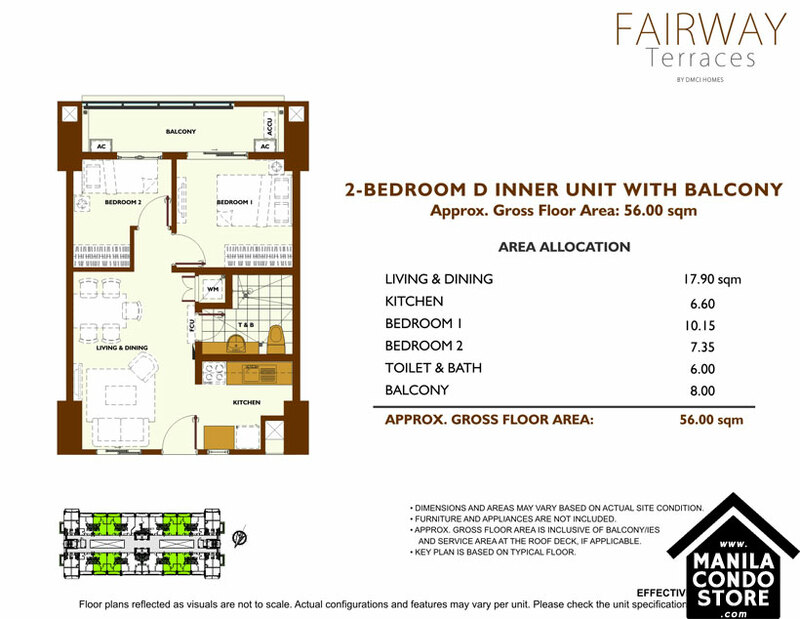 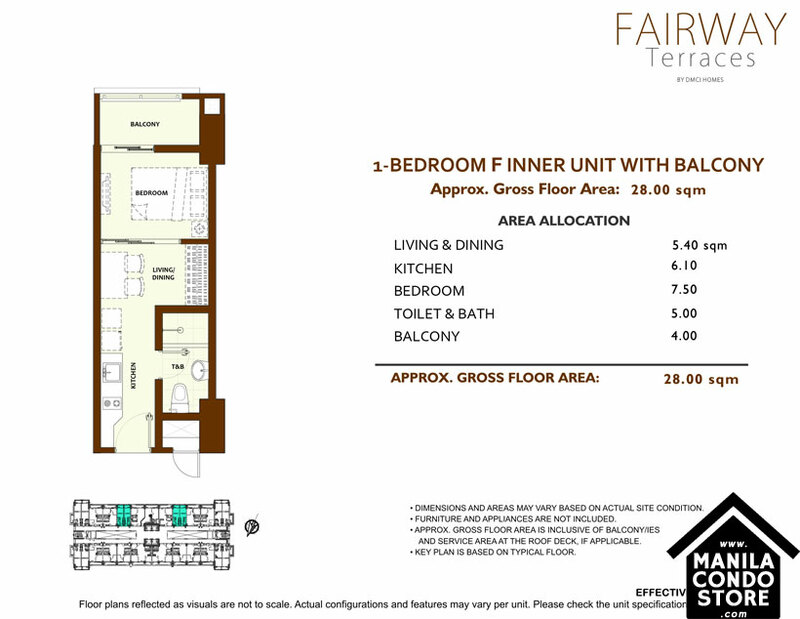 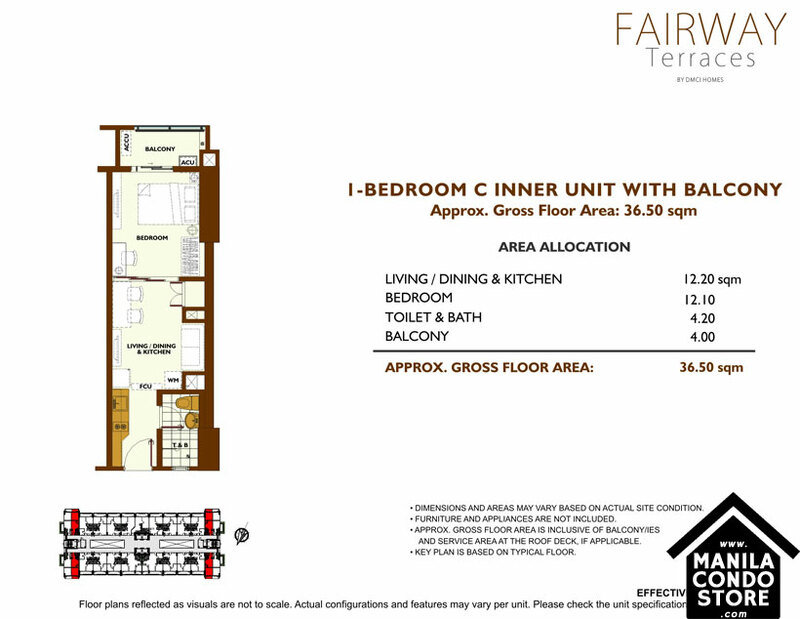 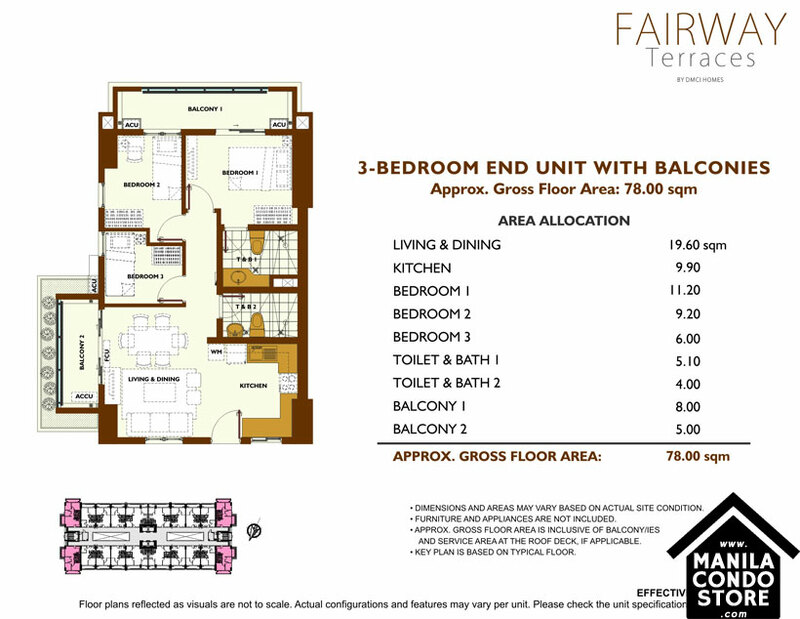 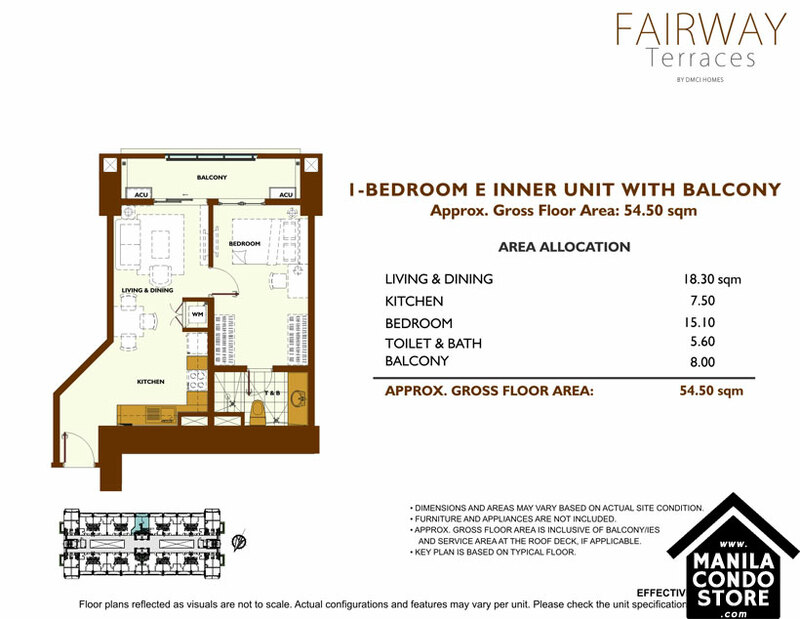 An accessible location with the best home spaces is what Fairway Terraces guarantees you of. 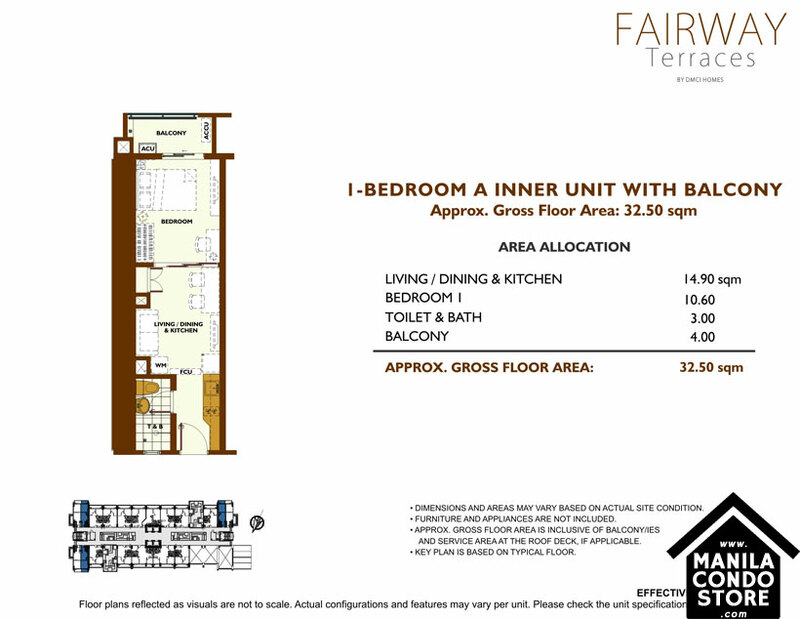 These spacious units speak of welcoming abodes, the greatest view of the city, and such convenience for your travelsome soul. 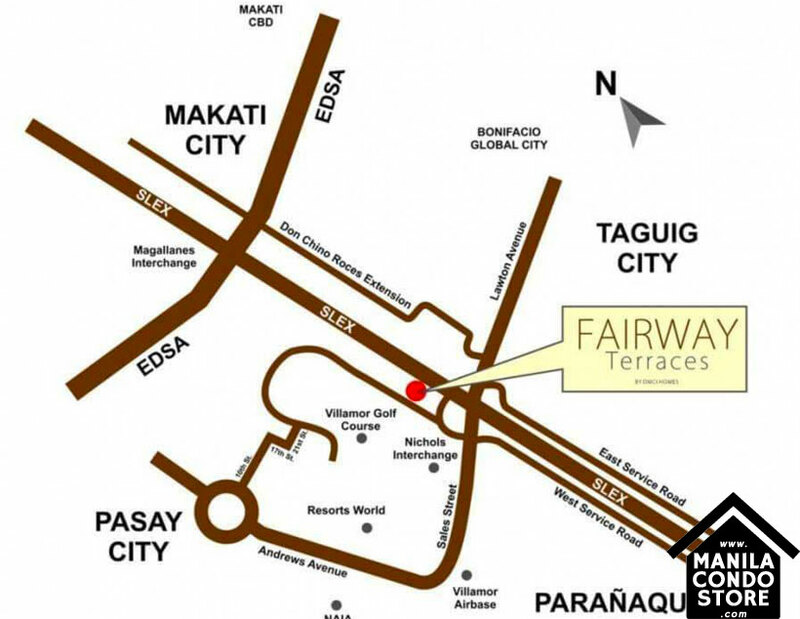 NOTE: We will only assist buyer/s WITHOUT agent, broker and signed DMCI Client Registration Form.